Finery is a fabulous brand with a unique point of view, born in 2014, based in London, a group of like-minded individuals share the same goal: to put the excitement back into shopping. These dresses encapsulate this ethos with their modern, inspiring and sophisticated styling plus accessible, without compromising on quality. Sourced from the archive of a French mill, the vintage floral pattern adorning this Fuchsia dress is truly one of a kind. This bold chartreuse design comes crafted from washed satin for a soft and silky finish, and falls to a flattering below-calf length. Modern details temper the vintage influences - note the flirty asymmetric hem and bracelet-length sleeves. 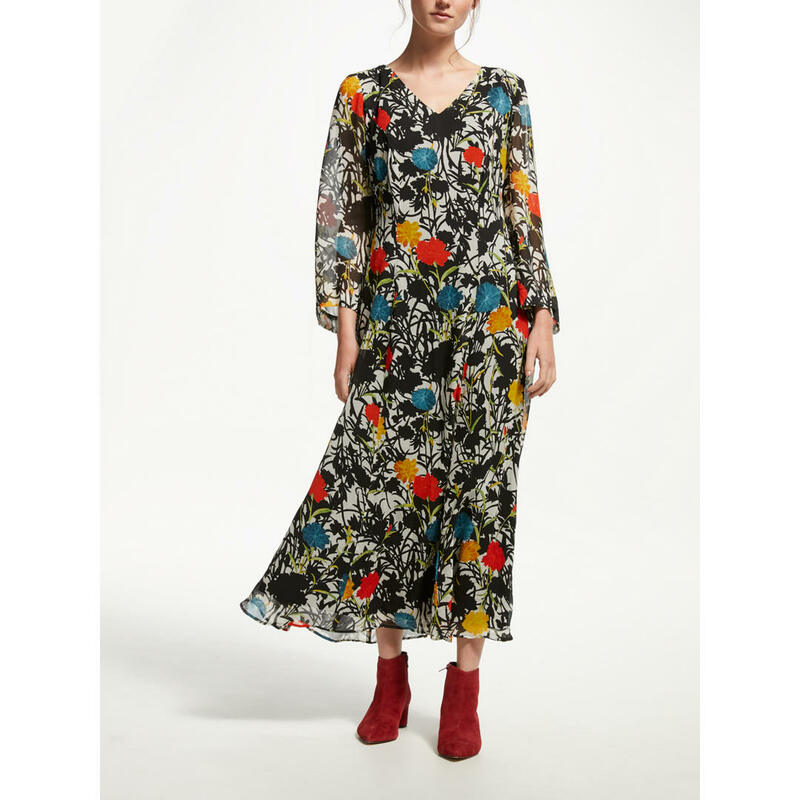 Adorned in a pretty, contemporary floral print this Sakura Printed Georgette Dress from Finery offers a great balance between comfort and style. Crafted from whisper-light semi-sheer georgette for a romantic finish, it looks equally as elegant styled with heels as it does worn with your favourite trainers. Go for feminine and floaty in this Crocus Satin dress from Finery, elegant washed satin comes blossoming with vintage-style blooms and drapes to mid-calf for a ladylike silhouette. Featuring a detachable waist belt and cuffed sleeves, this romantic design is ideal for those atmospheric early autumn days. 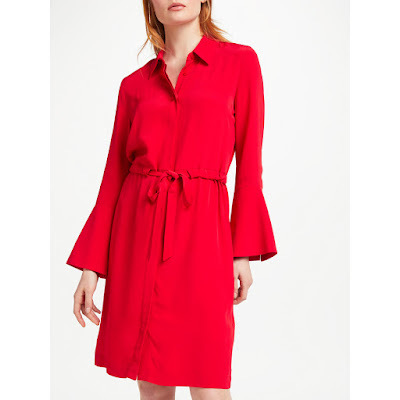 This piece from Finery makes for an update to the classic shirt dress, boasting a premium satin back crepe with a touchable matt finish, the chic navy Clematis dress heralds an ultra-luxe way to do workwear. Ideal for the office and beyond, it features a covered button placket, neat collar and detachable waist belt to cinch in your silhouette. Easy to throw-on, whatever the season, this number is a versatile addition to your weekend wardrobe. Designed with pretty piece blossoms at the sleeves with vintage-style blouson detailing creating a light, airy feel for comfortable wear. Designed with on-trend voluminous sleeves, with fluted detailing for a dramatic finish, this wearable design solves am-to-pm styling conundrums in seconds and fastens with a simple concealed zip closure at the back. With an on-trend utilitarian vibe, the Elm dress from Finery teams easy elegance with a contemporary feel, crafted from compact jersey, this simple design can be belted at the waist to cinch in the silhouette. 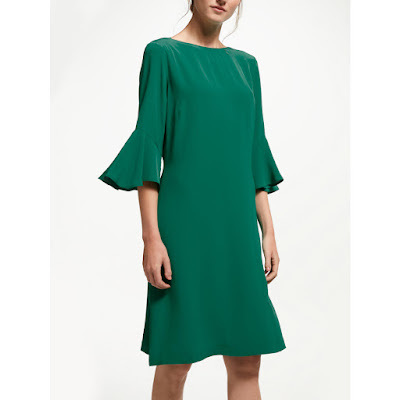 Long sleeves and a fuss-free V-neckline add to the simplified yet stylish look.